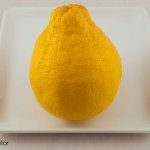 Outstanding article for anyone wanting an introduction to the world of pummelos. Well researched, as well as pragmatic. 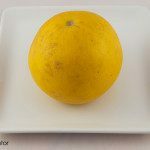 Great article Dan, I live in the SoCal desert area and already grow some citrus and have been debating what type of pomelo to try, I think I will try the oro blanco and cocktail because they are everywhere here and readily available. Hopefully my desert heat will sweeten up the fruit nicely. Thank you! Oroblanco and Cocktail are great choices; I hope that you will enjoy them as much as I do! Hello! Thank you very much for your great videos and other web postings. They are sooo useful! I live in Northern Virginia and have a small greenhouse in my backyard. I have some rootstock that i grew from seed (most likely lemons and tangerines). 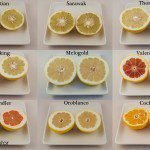 I would like to graft some citrus varieties that are likely to do well in our climate. What would you recommend? 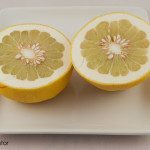 Also what refernce material would you recommend so I can learn more about citruses, how to grow them, their temperature and other needs and so on. Many thanks again! You are very welcome! I am glad that you have enjoyed the videos and articles. 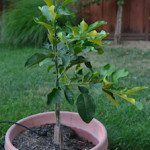 The rootstock has a big impact on the quality of the fruit, so my recommendation would be to buy a grafted tree instead of grafting to an unknown rootstock. You can expect a nursery tree to be grafted on a rootstock appropriate for the variety. One variety that I think would probably be a good choice for a greenhouse in Northern Virginia is Seedless Kishu. 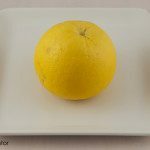 The fruit are very small — golfball sized — and very delicate, so it would never succeed as a commercial variety and you would never see the fruit in a store. I like to grow varieties that I would not be able to find otherwise. 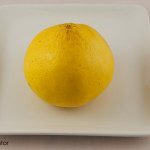 Seedless Kishu is very sweet and has become a popular variety for homeowners in California. 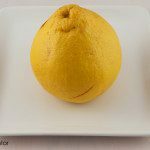 A couple of other good choices might be Owari Satsuma for another mandarin orange and Meyer Lemon if you would like to grow lemons. You can buy all of these trees mail order and you would get fruit much sooner and with much less trouble than if you were to graft your own. 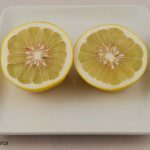 I found Sunset Citrus to be very helpful when I was starting to learn about citrus and would recommend it as a good starting point. Tijen, I have family in Chesterfield VA. I could not find any citrus in any of the nurseries there and I was not surprised because citrus cannot take freezing temperatures. As long as you can keep the temp in your green house above 32 F. then you should be able to grow most types of citrus (my opinion). 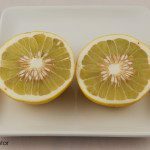 Some citrus like lemons and limes are easy to grow. 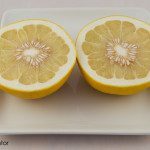 Some others like grapefruit take more sun and heat to produce good fruit. I’ve got over 100 fruit trees and some really top fruit. 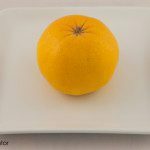 If you can get the trees I would suggest the best tangerine ever – Tahoe Gold Mandarin, Cara Cara Orange, 2nd best tangerines – gold nugget and pixie. Outside your green house you should plant the cotton candy aprium, flavor king pluot, and the snow queen nectarine. Some varieties are low chill – I live in San Diego CA. You must do research to find the best varieties for your area because the nurseries carry varieties that might not be good or grow well in your region – for example – home depot has sold varieties that need too much chill for San Diego, so whoever bought them will likely not get any fruit. Trust me on one thing for sure – if you can get a Tahoe Gold, do it. It ripens in Feb-March. You can verify what I am stating by ordering some online when they are in season. I’ve planted 5 Tahoe gold trees and have grafted it to some other trees as well. I agree with what Dan stated about buying a tree. It takes a long time to get a tree from a graft or cutting. I wanted a Shasta gold tangerine and could not buy the tree anywhere, so I ordered the budwood from CCPP and grafted it to a tangerine seeding with a trunk size of about 5/8″dia. It is now about 18″. The professionals use root stock that has various properties like root rot or disease and pest resistance. Since you are growing in a controlled environment using specific soil you will probably be ok to use your seeding. I assume you will have the tree in a planter and move it outside in the summer. 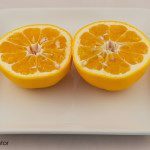 Just remember – 1 day of freezing and your citrus will probably be killed. Thank you for the great article Dan!! 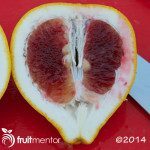 As a citrus farmer in the Central San Joaquin Valley I appreciate any and all education and awareness about all the great and unique citrus varieties out there. We grow over 20 different varieties including the Tahitian Pummelos, which I will harvest soon to go on our road side fruit stand! Thank you, Katy! 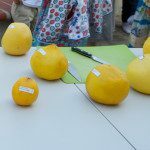 I was able to taste a Tahitian Pummelo from the Valley this year and it was delicious! I expect that Oroblanco, Melogold, and Valentine trees would grow well in Tuscon, but the thing that I am not sure about is the quality of the fruit. It may be too hot there and the fruit may become insipid. 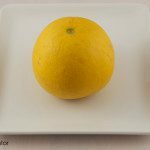 I suspect that grapefruit may be a better choice for your climate. For wintertime protection of citrus trees during a rare freeze, I have had success with Christmas lights and covering the trees with sheets, blankets, and towels. 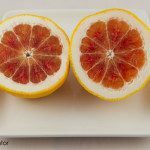 Hi – how about Red ruby or rio grapefruit – are they any good compare to Melogold or Oroblanco. I saw a lot of Chandler and Rio grapefruit in Costco and Lowes. I need to look for Melogold or Oroblanco then since you said they taste good. THanks. It depends upon the climate. 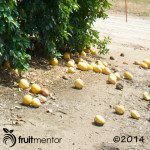 Where I live in Northern California I sometimes see grapefruit trees in nurseries. My experience is that it is too cold here to grow good grapefruit. 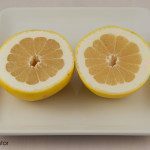 I have heard that some people have had success by leaving the fruit on the tree an extra year, but I have yet to grow a good grapefruit. I think that there is a demand for the trees in local nurseries because people like the store-bought fruit which was grown in a more suitable climate. Melogold or Oroblanco are better choices for my climate. 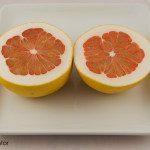 If you live in California’s Central Valley, Southern California, Texas, or Florida then you may be able to grow better grapefruit than me. If you live in a cooler climate then Melogold or Oroblanco might be a better choice. Very interesting article Dan. I live in Santa Clara too. Can I contact you by email? Thank you, Robert. If you click “About” at the top of the page it will take you to a screen where you can send me an email. Dan, as always with your published articles, this article is excellent. Thanks for all you do for the citrus industry in general. 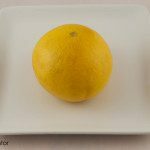 I have copied the URL and posted the article on the Tropical Fruit Forum’s Citrus Page for our readers education.